UT-Austin recently introduced and then immediately retracted a fourth short answer concerning diversity. For Fall 2019, the requirements are still the same: Essay A and short answer responses concerning your career ambitions, academics, and leadership. UT has made it no secret that they're looking for students who bring diverse perspectives to campus. I've always advised my clients to integrate these themes into their essays and resume anyways. I am leaving the prompt here to give you an idea of the kinds of students UT seeks and how you can argue that you will contribute to classroom discussions. You should find at least one place in your essay or short answers to address some of these themes. If you read this post, I have a feeling anyone can find something worth discussing in a few paragraphs. A few phrases immediately stand out - experiences, backgrounds, talents, perspectives. UT allows for a very wide range of responses. Absent are direct references to race or gender. They're not just asking about your race/ethnicity or socioeconomic background. I've always emphasized that diversity can mean anything you want. Contributing a unique perspective doesn't need to be something you're born with. It can be acquired. It's important to consider these questions to be a more well-informed applicant and citizen. The current inequality and lack of access to educational resources in Texas and the United States. I dedicate about 50 pages of my book Your Ticket to the Forty Acres addressing these questions. Unsurprisingly, it's the least read and popular section. A few students have already reached out - "How can I demonstrate diversity? I'm white, straight, upper-middle class with educated parents, from the suburbs, and my high school is really good." The prompt explicitly allows substantial leeway to answer in an almost infinite number of ways. If your preconception is that diversity only means race, gender, or socioeconomic background, then it might be necessary to reframe your own internal definitions. Otherwise, you're likely to feel stuck and submit an unimaginative or potentially harmful response. Diversity can mean anything as my remaining bullet points will illustrate. One straightforward way to answer is borrowing from Apply Texas Essay B and the Common Application that offers the opportunity to discuss an interest or talent. Is there an activity that's central to your identity? Do you have an interest or talent that exposes you to people who share different perspectives? Does your talent push you out of your comfort zone or confront adversity? Is there a particularly memorable moment worth sharing with reviewers? Does your interest or talent relate to your first choice major, i.e., could you contribute something to classroom discussions? Complete my questionnaire for a free admissions consultation. Another straightforward way to answer this prompt is to consider anything in your background that may be unique or is marginalized in society. You can easily discuss in Essay A these questions. Do you have particular religious or cultural beliefs and practices central to your identity and community? Are you African-American, Hispanic, Asian, Native American, or of mixed race/ethnicity/heritage? Are you from a small town or a high school that doesn't send many students to university? Are you a recent immigrant or come from a family of immigrants? Do you speak another language alongside English, or have you deeply committed to the study of a foreign language? Do you identify as LGBTQ or advocate as a straight ally? Are you applying to a major or program where your identity is historically underrepresented, i.e., women in STEM or men in Nursing, Education, or Social Work? It's important that you not just identify and answer one or two of these questions. You need to take the next step and say how it contributes to UT's campus and classrooms. One way to do this easily is identify a student organization, campus or community project, or professor who interests you and relates to your background and where you feel you could contribute. I mention that diverse perspectives can be acquired. It takes effort to put yourself out there and dedicate time to a project or activity that exposes you to different points of view or forces you out of your comfort zone. The Leadership short answer is the perfect opportunity to incorporate diversity into your application. Do you participate in Speech/Debate, DECA, Model UN, or other competitions that involve discussion of controversial and complex topics? Are you involved in your community's church, temple, synagogue, or another place of worship? Do you tutor students from backgrounds different from yours? 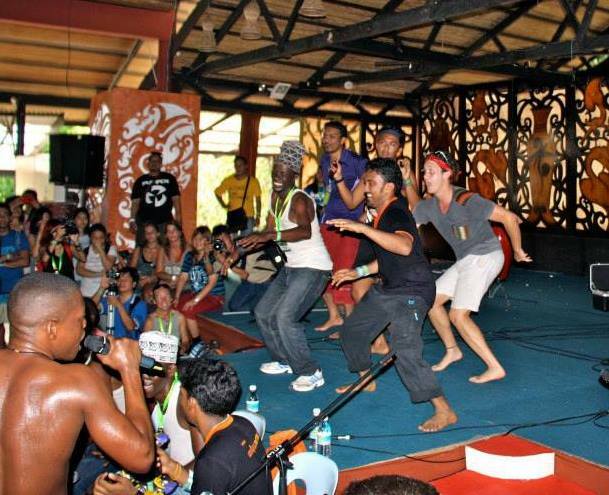 Do you participate in cultural activities either from your own or others that involve food, art, dance, film, music, etc? Do you make an effort to have different friend groups? It's important that you proceed cautiously discussing mission trips abroad or serving underresourced communities. I've already seen a few drafts that, though well-intentioned, come off as very privileged and patronizing. Proceed cautiously. "Writing about service and volunteering can be tricky. If you’re writing about a service trip abroad, volunteering on the weekends, or involvement in a service-oriented extracurricular activity, be careful to avoid paternalistic language. Paternally oriented language uses the word “I” while other-centered language favors “we.” Service essays tend to be all about the student while the recipient of their volunteering efforts stays in the background. The applicant sees problems that they need to fix. These problems could be children in a poor tropical village, older adults at a nursing home, or hungry people at a food bank. Jacob isn’t central to the story; it is all about Justin. Jacob’s feelings are absent. He could be anyone. It isn’t clear what Justin is learning from the experience either. Merely asserting that you volunteer or serve others isn’t enough. Admissions professionals who discourage students from writing about service do so because such essays smack of privilege. Service and volunteering should be a partnership rather than a one-way street. Using patronizing language is likely to turn off your admissions reviewer who themselves may be from a historically marginalized community." Complete me questionnaire and we can talk about how to build your best UT-Austin essays. Race in college admissions and university's commitment to diversity is an incredibly complex topic. I dedicate the middle section of Your Ticket to the Forty Acres to addressing the intricacies of the legal history of affirmative action, how unequal access to educational resources for urban and rural students prompted legislators to draft the top 10% law, and why UT's challenged for almost ten years the imperative for enrolling a diverse campus. Whatever your personal feelings or beliefs on these controversial topics, trying to consider different perspectives is critical for writing a thoughtful answer. With students of color having the police called on them on college campuses for seemingly no reason and racist posters displayed on UT's campus last year, UT seems to be taking a stand with this prompt saying "not here, not anymore." They're looking above all for tolerant students. I provide a four-part video series on the Fisher versus UT case. The Texas Tribune's Price of Admission series takes a deep dive into these issues and is worth exploring. 6. Do you have a special circumstance or experience that your reviews should know? In the past, UT allowed for students to submit a "special circumstances" essay. Transfer admissions still allows it. It's worth providing this prompt to give you an idea how to present context necessary for a more complete picture of your application. "There may be personal information you want considered as part of your admissions application. Write an essay describing that information. You might include exceptional hardships, challenges, or opportunities that have shaped or impacted your abilities or academic credentials, personal responsibilities, exceptional achievements or talents, educational goals, or ways in which you might contribute to an institution committed to creating a diverse learning environment." Sometimes, students worry that they will sound like they're complaining or whining about something that's happened in their lives. This concern is understandable, but reviewers only know as much as you tell them. If you've suffered a serious injury, illness, a loss in the family, losing your home, etc., it is worth sharing in an essay. It's highly likely your experiences would contribute to a diverse learning environment. 7. If you've competed nationally or internationally in something, tell your reviewer. If you've committed yourself deeply over a long period of time to an activity, sport, or artistic pursuit, and you've received national or international accolades, discuss it. There are few people of any age who have ever been at the top of anything. It's likely that if you're qualifying for the highest level competitions or tournaments, there are hundreds of people trying for each space. These are perspectives that will contribute to a diverse learning environment. Let your unique journey shine. Similar to understanding why UT values diversity, you could answer "Why UT and Austin" as it relates to their commitment to support people from all backgrounds. Many students come from homogeneous environments where it's hard to receive let alone live in an environment that fosters different or dissenting viewpoints. There are a ton of student organizations and events on campus that showcase food, music, dance, and holidays from cultures all over the world. UT has students from almost every county in Texas, every state in the US, and over half of the world's countries. One of my favorite parts personally about attending UT was meeting people from all over. It really did make classroom discussions better, and I felt continually challenged to reconsider my own beliefs. I benefited directly from attending a university that makes efforts to enroll and accommodate a diverse student body. Not only did I grow from my initial culture shock of participating in the mostly affluent honors community, some of my first friends at UT came from Nepal, Kazakhstan, Sri Lanka, Thailand, Nicaragua, and tiny Borden County, Texas. I took courses in African and Latin American history with classmates and professors from those regions. I spent a lot of time with one of the South Asian fraternities freshman year. I befriended military veterans and gay men. Having grown up in a conservative family, I had my beliefs challenged by liberal classmates. I began identifying with libertarian ideology rather than Republicans or conservatives like my family. I fondly recall an upper-division Government class during my sophomore year on comparative immigration policy. We were learning about two types of visas: the Diversity Visa, commonly called “the green card lottery,” and the Special Immigrant Visa for Iraqis who worked with the American military and government. One girl raised her hand. “I won the green card lottery. I come from Eritrea, and my country had recently ended a civil war. I didn’t qualify as a refugee, so I applied twice and successfully received the fast track to citizenship on my third attempt.” A middle-aged man followed up about his experiences as an Iraqi journalist and interpreter during the bloody siege of Fallujah. He came to America on the Special Immigrant Visa. Professor Freeman let them lead the class discussion that day. It is one thing to learn about public policy through books. It is another thing entirely to sit beside people who can share their relevant experiences. Since most students grow up in homogenous environments, they likely have little experience with the benefits of exposure to different perspectives. It amazed me that UT brought people together from so many different parts of the world. During times of political turmoil and hostility toward immigrants, I remind myself that Texas, for all its fraught history and existing divisions, can be an incredible place to live and grow. The prompt asks about the free exchange of ideas and learning from people different from yourself. You can answer the prompt directly by illustrating a situation where you helped resolve a conflict and find common ground. Virtues like patience, conscientiousness, thoughtful listening, and remaining calm under pressure are qualities that UT seeks. If diversity isn't necessarily something you're born with or even something to be acquired, it can be demonstrated by being a decent person who takes a concern for others. Addressing this question will address UT's new short answer directly as it relates to the promotion of the free exchange of ideas and adding a valuable perspective to classroom discussions. One way to address the prompt directly is, if you come from a state or a country that has few other UT students, you can discuss how your background will bring a unique perspective to campus. There are organizations and First Year Interest groups for out of state and international students. Since UT's undergraduate population is over 90% Texan, don't undersell the value of a non-Texan point of view. You don't necessarily need to compete at the highest level in an activity or event. Use this new short answer to provide more context to your resume that hasn't been mentioned elsewhere. The prompt also permits opportunities for cross-cultural exchange. Have you spent a few years learning a foreign language and made a meaningful effort to practice or explore it further outside of the classroom? Do you participate or lead in a student organization that promotes or exposes you to cultures different from your own? Have you gone on an exchange trip or has your family hosted an exchange student? Do you participate in Spanish National Honor Society, a French club, or any international student organizations? Similar to the interest or talent Apply Texas Essay B prompt, this question allows for an added variation that your experiences don't need to be confined to the resume. If you're fascinated by a topic or curious about an area of research, let your reviewer know. It's highly likely this will add valuable information to classroom discussions or a student organization. Everyone should connect this short answer to their other essays, resume, reference letters, and the remainder of your application. Each part of your college application should add a new perspective. It's critical that you reference specific examples, experiences, or situations that reflect something interesting about you. It may be daunting to see Essay A and the four short answers as a lot of work. It's also a tremendous opportunity to convincingly argue why you deserve a space in your first choice major. UT is seeking students who are curious, compassionate, understanding, and willing to push themselves beyond their comfort zone. Make the case that you belong on campus. Interested in crafting your best essays? Let's get started today with a free consultation.